They came out of nowhere that day I floated on a fishing boat in the waters off Chokoloskee Island. 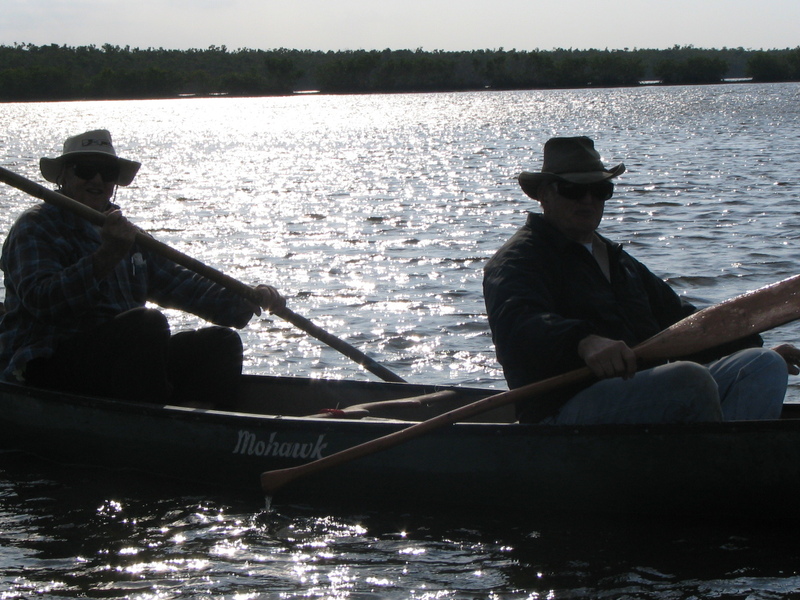 Two men in a canoe using long poles to push themselves through the shallow water as low tide came. 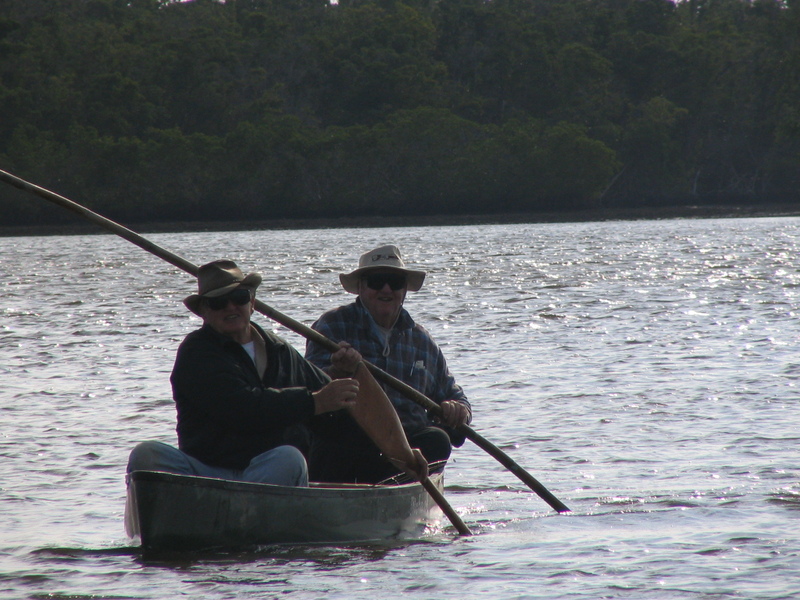 They said they went out every day on those waters on the western edge of the Everglades. The people of the Everglades call their way of life “free.” They live by the seasons, the sun, and the vagaries of weather. 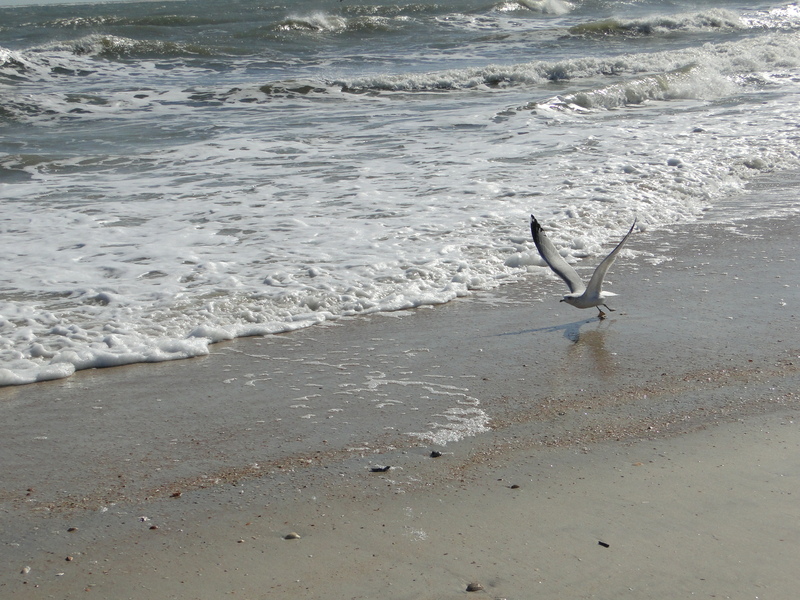 Most of the land in this part of Florida lies at or below sea level. Chokoloskee Island, a small island at the gateway to the Ten Thousand Islands, is one of the tallest places in the Everglades and it was formed by the Calusa–the native people of the Everglades–who threw their seashells in piles that soon grew into mounds. Developers in Florida destroyed many of these mounds and the advent of Europeans into Florida forced the Calusa into exile to Cuba or worse. 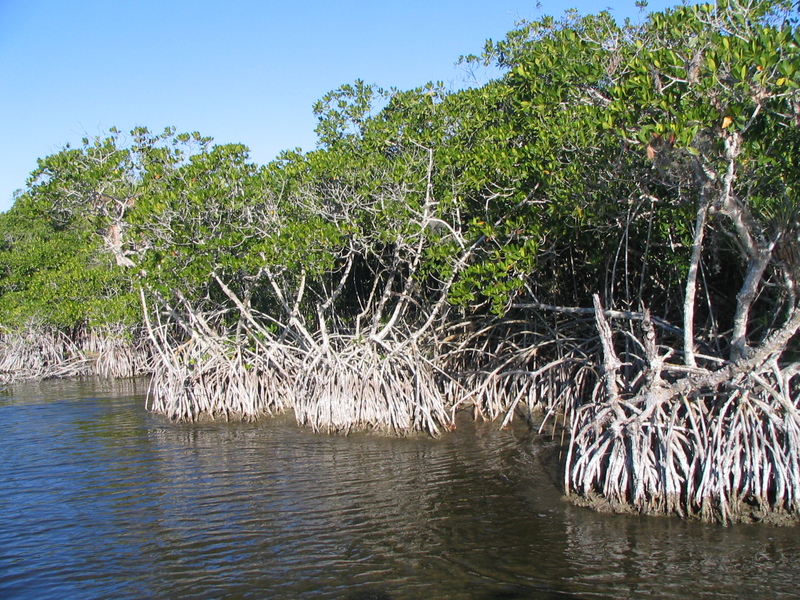 By the 1770s, most all of the original people of the Everglades were gone. And by the 1930s, much of the Everglades was manipulated and destroyed in man’s effort to control water. 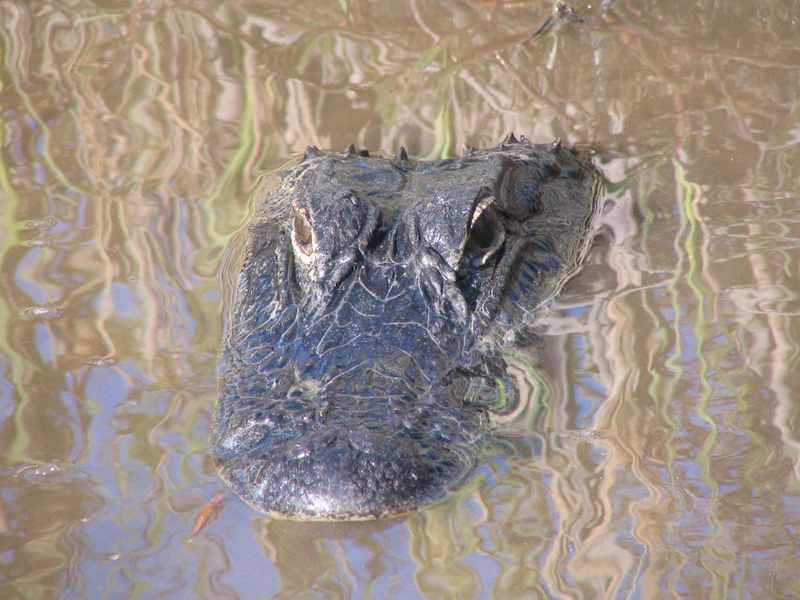 No place exists anywhere on the planet like the Everglades. 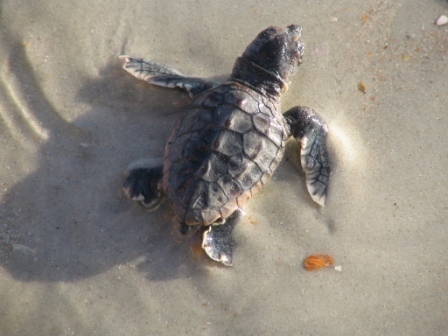 Fortunately, the National Park Service and the Florida Fish and Wildlife Conservation Commission ensure lands are protected and sustained. Like most writers, I’m sensitive but have been forced to develop a tougher exterior. It doesn’t come easily and in the quiet moments of self-doubt, that bulky facade falls away, and I bleed from any slights I might receive for my passion. I recently read a quote that said, “It’s only work if you’d rather be doing something else.” That fits me. There’s nothing else I’d rather be doing despite the often lackluster sales of my books, the frequent ignoring of what I do by relatives and friends, and the sometimes thoughtless comments made by others. I live with it, and I realized recently, I’m even learning to accept it. During the past year, I went through some serious health issues that required me to go on chemo-like treatments to rid my body of two unwelcome viruses that were attacking my nerves and liver. I became weaker, I was often dizzy and unsteady on my feet, and my hair fell out. All my life, I’ve had thick blonde hair and I suppose there have been times when I was a bit vain about it, but I endured all that. Despite all the side effects, I managed to go to the gym four or five days a week. I did my Zumba, Tai Chi, and weight resistance machines. More than the physical activity, the support I received while there kept me going. In particular, two older women in their eighties were sweetly solicitous and encouraging, telling me I was beautiful despite my straw hair coming out in clumps. They are my heroes. One day someone told them I was a writer, and they were so excited. Neither of them used computers or went online so I brought them three of my books and told them if they didn’t want to read them, to pass them on to someone who might enjoy them. Two weeks later, one of the sisters (the one who doesn’t read much) told me that they didn’t like the topics of my books and were going to return them to me because they’d never read them and didn’t know anyone who would. I only told one person about this–another writer–and she confirmed what I felt. “Just when I thought I’d heard of everything that could be said to insult us, you tell me this story!” my friend said. I decided not to react and told her that would be fine. When I saw her the following week, I was friendly as if nothing had happened. Then the other sister (the one who reads) entered the room. I smiled and continued to work out. This morning the reading sister was at the front desk of the gym when I entered. I happily took the book and the pen. “You’re an inspiration to me,” I signed. If she only knew what her words did for me. It will keep me going until the next time there’s a dip in my motivation. If only I could remember these positive things in times of doubt. P.S. I’ve beat the viruses, and I feel better than I ever have in my entire life. A positive support system, prayer, and my writing kept me going and motivated me to get out of bed most every day even when I felt I couldn’t put one foot in front of the other. Ionized Water – Fad or Necessity? The best thing since sliced bread, so my husband said. 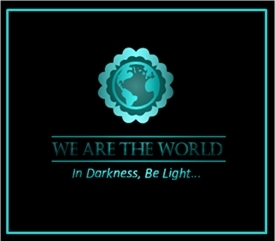 It’s healthy, and it will change our lives, he added. I wasn’t convinced and wanted to take my time to consider. 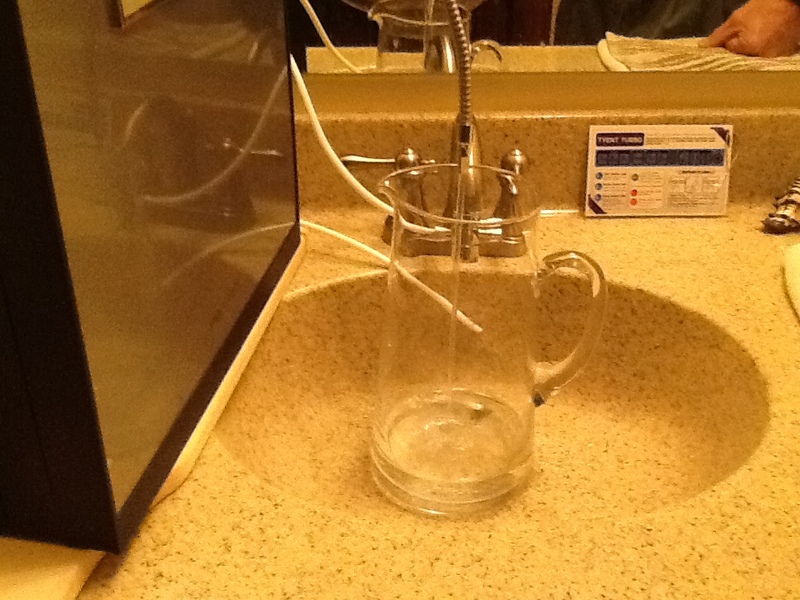 But one day, when I returned from the gym, he’d already made the decision to buy a premium water ionizer. We’ve both been sick during the past year, and my husband wanted to do everything he could to get us back to health. I just wasn’t sure I believed in the miracle enough to spend $2,000 on such an unknown piece of equipment. Turns out, I didn’t have to consider anything. My husband, who is an engineer with a specialty in treatment of water contaminated by mining activities, made the decision for us. After a day or two of pouting and figuring out how to pay the bill, I started coming around. It began with the first taste of the water. I’ve always said water isn’t supposed to taste. However, I’ve learned that water treated by municipalities can still have contaminants that can’t be seen, smelled, or tasted, which is the case with the water that comes out of our faucets. It tastes fine and there is no smell. 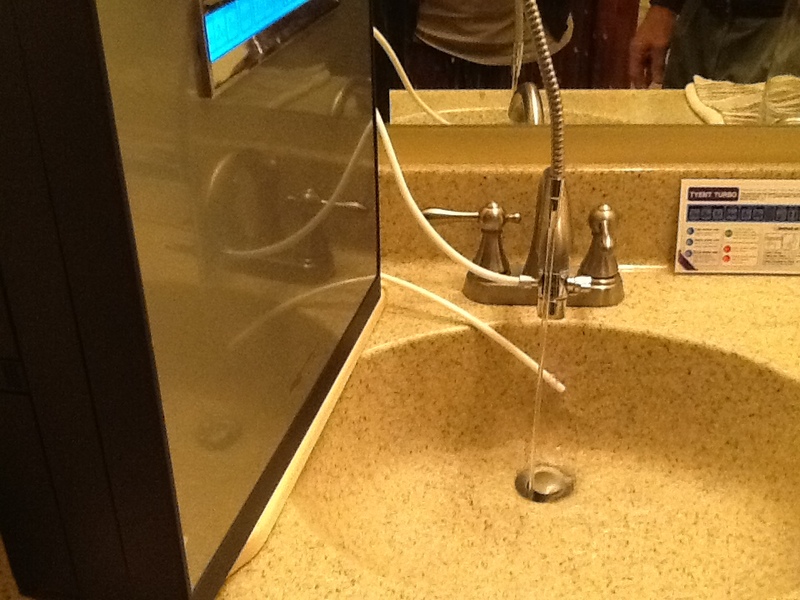 However, the water can still have organic and other contaminants. I’ve been ordering spring water for several years for our drinking water, and for cooking we were filtering our tap water in Britta pitchers. Water that goes through the ionization process concentrates some important elements in the water, such as calcium and magnesium, as well as removing those things that are bad for us in the carbon and ceramic filters. And what is left is a water that feels thick on the tongue and tastes rich. It’s might be hard to imagine—I know I couldn’t before I tasted this water, but it’s very evident. Anyone who visits our house is first given a glass of the water, and folks are amazed at the difference. So all right, it makes water feel and taste like a plain milkshake without the calories or flavor. What else does it do? To bring me over to his side, my husband began printing out articles for me to read. I’m not a scientist so most of what he gave me went right over my sweet little blonde head. Finally he found a simplified report, and I’ve simplified it even more for your benefit. 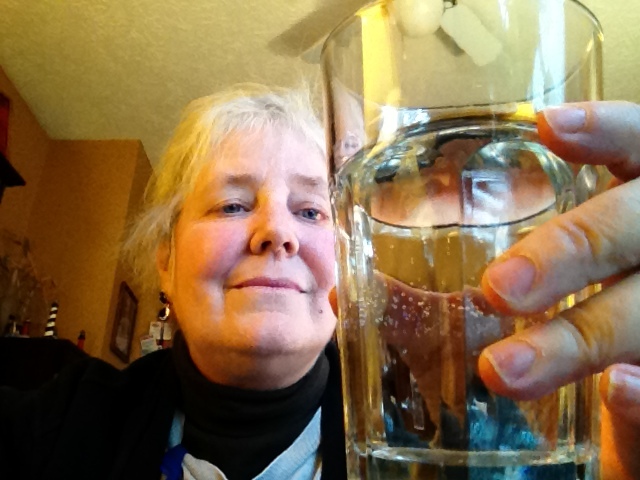 First, I am speaking of ionized water that uses electricity to produce this water. It is not alkaline water produced with non-electric methods. Here’s what I’ve gleaned from the simple documents I asked him to print for me. I didn’t want the specs, the scientific terminology and symbols, or the jargon scientists throw around like a beach ball. “Just give it to me straight,” I said. So here is my “giving it straight” to you. Ionized water has smaller water molecules making the water more easily absorbed. In other words, it hydrates better. People drinking ionized water have reported they don’t feel as thirsty. I’ve always been an avid water drinker, and I think I’m noticing a difference. My dry, chapped winter lips have disappeared in the month since I started drinking the ionized water. Ionized water contains antioxidants thus reducing the chance for free radicals to invade and age us. It’s hard to tell from my photo here, but I’ve actually gone back ten years for every day I’ve been drinking this water (please note my sardonic tone here). The alkalinity and oxidation/reduction potential of the ionized water is an important component of a healthy diet. Most of us eat lots of acidic foods so the balance gained from drinking ionized water and eating foods high in alkalinity, such as many fruits and vegetables, rewards us with good health. I have no way of measuring this. I do feel better these days, and I have more energy than I ever had, but I don’t know if this is because of successful treatment of a virus or from the water. Maybe it’s a combination of both. Through the two-step filtration process contaminants are removed and in the ionization process, water becomes oxygenated. 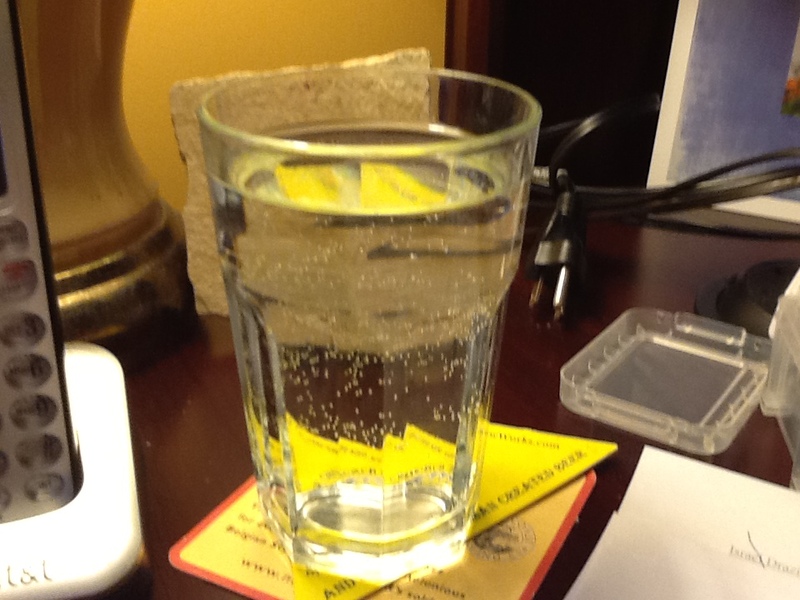 Note the bubbles in my glass of water. Oxygen is always a good thing as it promotes increased energy, better sleep, and memory enhancement. I can’t measure this either. I know I’m full of energy these days and grateful and aware of what good health means. Public water systems, such as the one that provides our water, add lots of contaminants to get rid of other contaminants. The ionization process puts the tap water through a two-filter system, which ensures all contaminants are removed and what is actually going into my body is alkaline and oxygenated water. 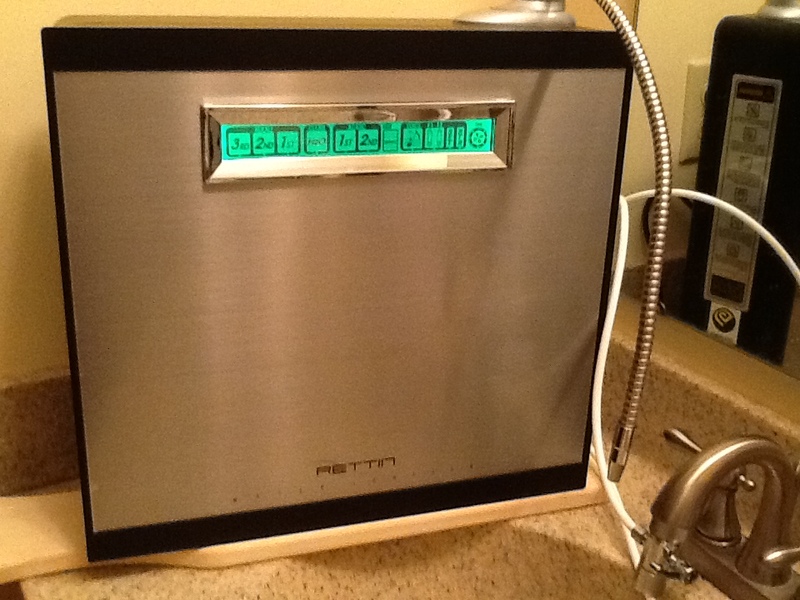 My husband bought Tyent Water Ionizer after researching several companies. I’m not endorsing the Tyent system as the only one, but I know it’s working for our purposes. I’d love to hear from you on your thoughts and experiences. I’m slowly converting to my husband’s side as I stop aging, run a marathon, and remain disease free. Sunday afternoon fun. I raided the freezer and found a bag of shredded zucchini and a bag of fresh-frozen tomatoes. 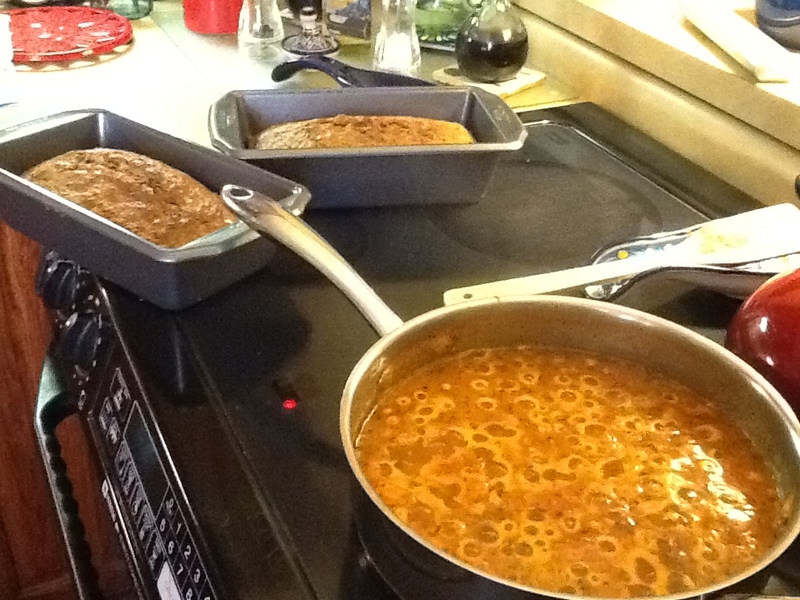 Baking bread and cooking sauce smells soon permeated the airwaves of our house. Eating it wasn’t so bad either. Remove tomatoes from freezer and put in refrigerator for 4-5 hours. Rinse under hot water for a few second until skins peel off easily. Let skinned tomatoes sit for an hour or until core can be cut out easily. In the meantime, sauté onions, garlic, peppers (or anything else you’d like to add such as mushrooms, carrots, or olives) and herbs. 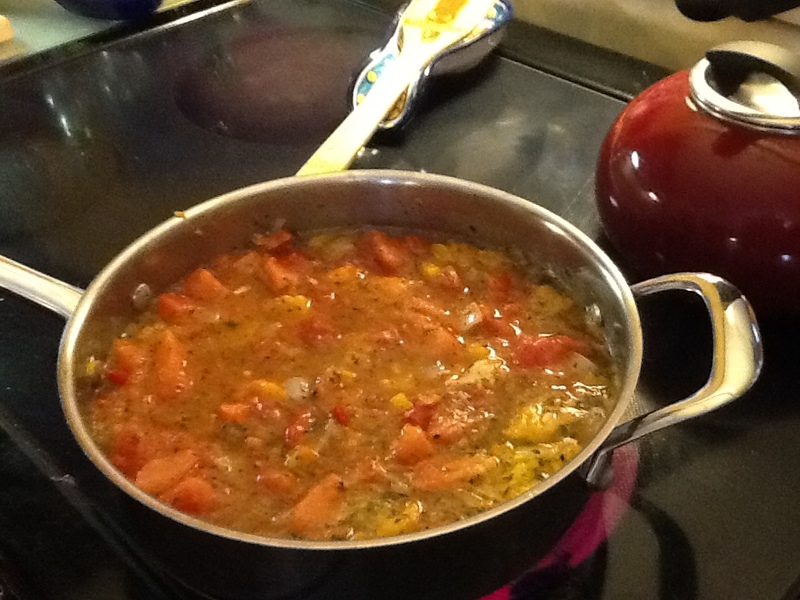 Chop tomatoes, even if they’re still partially frozen, throw pieces into pan with sautéed mix. Bring to boil then put on low for several hours, stirring occasionally. When sauce is reduced enough, it’s time to use sauce in your favorite Italian dish. What’s cooking at your house these days? From Seed to Table is now available in paperback for $5.39. Baby, It’s Cold Outside, But Summer Produce is Hot! It’s that time of year when it’s difficult to imagine the green of a lush garden as we look at the winter vistas outside the window. The seed catalogs arriving daily give us hope that the frozen tundra of our landscape in a few short months will turn into loose dirt ready for planting. At our house, the onions are becoming seedlings under grow lights. Some of the onion seeds my husband ordered are on back order so we searched out local sources of seeds yesterday. Neither of the stores we checked that usually have packets of seeds near the check out had them. With the temperatures dipping to ten below degrees, maybe they’re finding it difficult to imagine anyone growing anything. 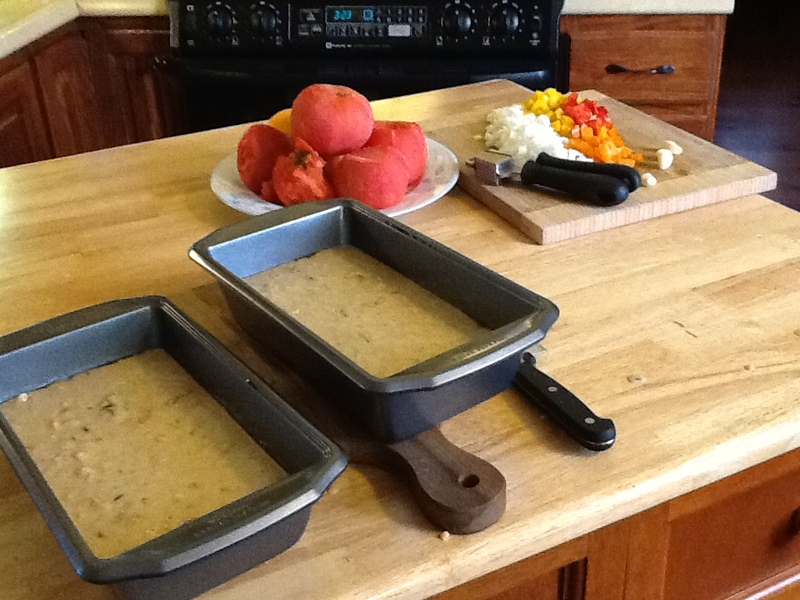 Even though we’re not venturing very far from home these days, we’re enjoying the products from the past year’s garden. Peas, corn, spinach, or zucchini, frozen during the summer, grace our plates almost every night. We also are eating winter squash frequently. We have butternut and a new variety my husband planted last summer. It’s called Heirloom Queensland Blue Squash. It does have a bluish tinge to it, and it look as if the Jolly Green Giant stepped on it. 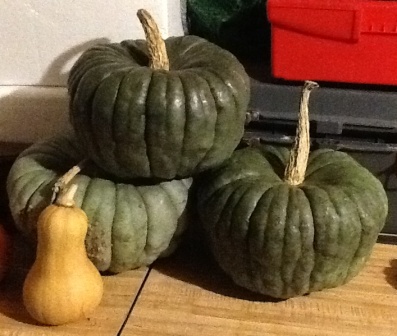 But it is a sweet and lovely squash growing to 10 pounds or more. I boiled cut up pieces of one the other day and it made ten cups of pureed squash. I used it to make a “pumpkin” pie, which means I used a pumpkin pie recipe substituting two cups of pureed Queensland Blue instead of pumpkin. My husband and I thought it tasted better than pumpkin, but then anything that reeks of freshness in these days of arctic frigidness ranks very high on our taste-bud list. I hope you’re staying warm. I just checked the outdoor temperature, and it’s already down to one degree at 4 p.m. They predict wind chills to be thirty below. How is that even possible? Back to dreaming of the summer to come – here’s a photo to help us remember that somewhere sometime in the not too distant future, we will once again thaw out and see green everywhere. Let me know about your garden dreams and realities. Perhaps the weather isn’t as frightful where you live. 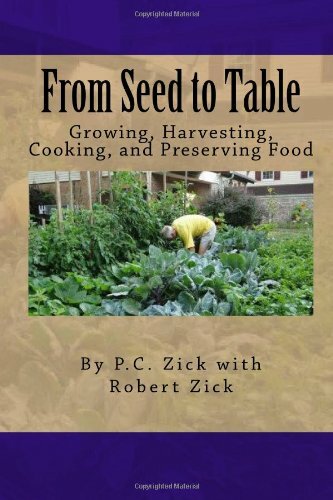 From Seed to Table is now available in paperback.